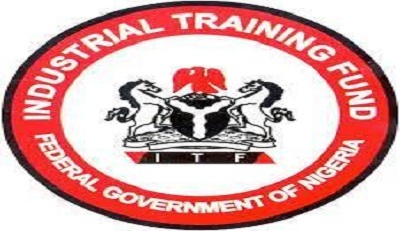 The Industrial Training Fund (ITF) has concluded arrangements for the graduation of 11,000 trainees cross the country under its 2018 National Industrial Skills Development Programme (NISDP) as well as distribution of start-up packs to them. According to a statement signed by the fund’s Head of Public Affairs, Suleyol Fred Chagu, the graduation ceremony, which is slated for April 4, 2019 at the Shehu Musa Yar’adua Centre in Abuja is expected to have in attendance the Vice President, Yemi Osinbajo, who will be the special guest of honour. The director general of the ITF, Sir Joseph Ari, who disclosed this to newsmen in Calabar recently, added that the ceremony would also be attended by the minister of the Federal Capital Territory (FCT), Mallam Mohammad Bello; the minister of Industry, Trade and Investment, Dr. Okechukwu Enelamah as well as the minister of State for Industry, Trade and Investment, Hajiya Aisha Abubakar. Sir Ari explained that the decision to empower all the graduands with start-up packs was informed by the revelations from the monitoring and evaluation of beneficiaries of earlier phases, which indicated that where the trainees were empowered with such supports, almost 90 per cent ended up as successful entrepreneurs that were employing others. The DG said that ITF was committed to imparting skills acquisition to as many Nigerians as possible as it remained the most sustainable solution to the twin problems of unemployment and poverty reduction as government alone cannot provide jobs for all Nigerians. He disclosed that a study of six priority sectors in the national economy, which the ITF conducted in collaboration with the United Nations Industrial Development Organisation (UNIDO), revealed that despite acute unemployment, vacancies existed in the economy that cannot be filled or were hard to fill because of the absence of Nigerians with the required skills, adding that most of these vacancies were indeed being filled by people other than Nigerians. Considering the capital intensive nature of skills acquisition, he appealed to stakeholders including state governments, non-governmental organisations (NGOs), and faith-based organisations amongst others to collaborate with the ITF, in view of the vast number of Nigerians that were unemployed. The DG noted that stakeholders that are desirous of collaborating with the ITF could sponsor additional trainees to ITF skills acquisition programmes in order for more Nigerians to benefit. He however added that such sponsorship would entail the payment of master craftsmen, the monthly stipends of trainees as well as provision of start-up packs for such additional trainees.